The Thai beat the Mexican with a majority decision at the Forum in Inglewood, California, on Sunday morning (Feb 25) Thai time. Two judges scored it 115-113 and 117-111 in favour of the title-holder and the third saw it 114-114 after 12 rounds. “The people are the judges and you can hear them say that I won,” Estrada said after the bout. The 27-year-old said he wanted a rematch. Estrada (36-3-0, 25KOs) was clearly the better fighter in the final round when he almost finished off the champion. “A large number of my fans may be afraid that I was running out of steam [in the final round]. But I’d like to tell you that I was not exhausted and I was confident that I was winning,” said the Thai, known in Thailand as Srisaket Nakornloung Promotion. While Estrada was upset by the decision, Srisaket’s manager Surachart Pisitwutthinan was also surprised by the outcome. 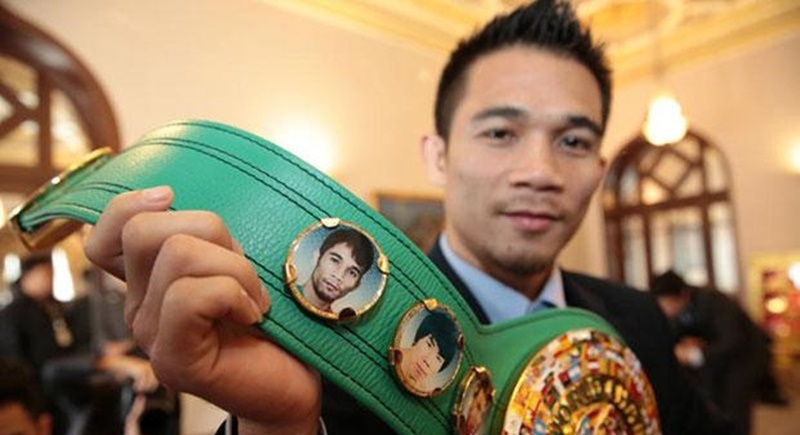 He said Srisaket, 31, should have won by a unanimous decision. Surachart said he wanted Srisaket to next fight in Thailand before a mandatory bout. Srisaket dethroned Roman “Chocolatito” Gonzalez with a majority decision last March. He then knocked out the Nicaraguan in the fourth round in the rematch in September. Srisaket is scheduled to arrive in Bangkok this morning (Feb 27) and hundreds of well-wishers are expected to greet him at Suvarnabhumi airport. Srisaket, whose real name is Wisaksil Wangek, will get B6 million from his fight fee of US$250,000 (approximately B7.8mn). “Sia Hui [Surachart] promised before the fight that he will give Phi Laem [Srisaket] six million baht if he beats Estrada,” his girlfriend Patchareewan Kanha said.